Anticipating near silence, marine acoustic oceanographers found music to their ears in the deepest point on Earth. You would think that the deepest part of the ocean would be one of the quietest places on Earth. Yet there is almost constant noise. In an ocean trench deep enough to hide Mount Everest, scientists listened to natural and human-made sounds including baleen whale vocalizations and ship propellers. The ambient sound field is dominated by the sound of earthquakes, both near and far, as well as distinct moans of baleen whales, and the clamor of a category 4 typhoon that just happened to pass overhead. 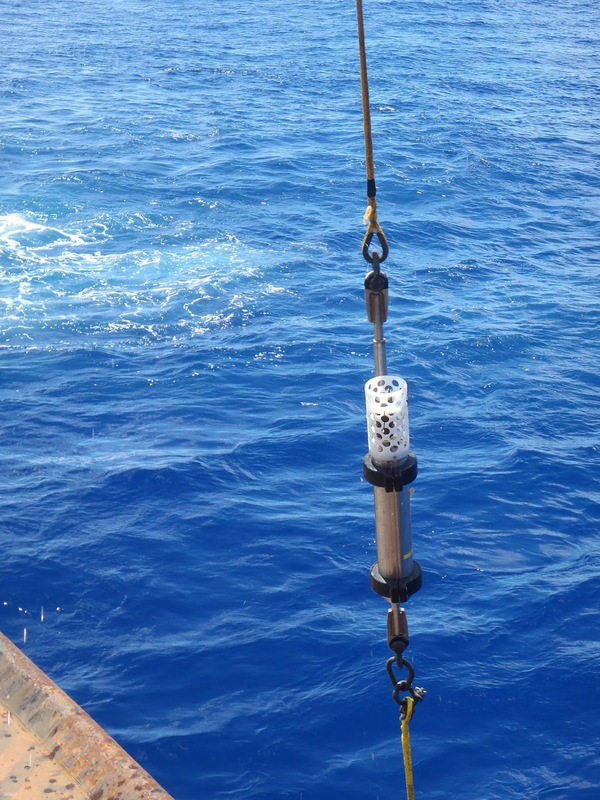 A hydrophone was lowered into the Challenger Deep trough — a depth of more than 7 miles. The ceramic hydrophone was encased in a titanium housing to withstand the great pressure at those depths. 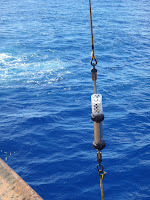 The purpose of this 3-week data collection expedition was to establish a baseline acoustic level at depth. Some marine animals rely on sound to feed, navigate, and communicate. Marine scientists hope to continue monitoring how growing levels of human-made sounds affect acoustically-sensitive marine life. Music at Night and Other Essays, Aldous Huxley, 1931. Seven Miles Deep, the Ocean is Still a Noisy Place, NOAA, 2 March 2016.